Get ready, shippers — Harley’s dumped Mr. J! 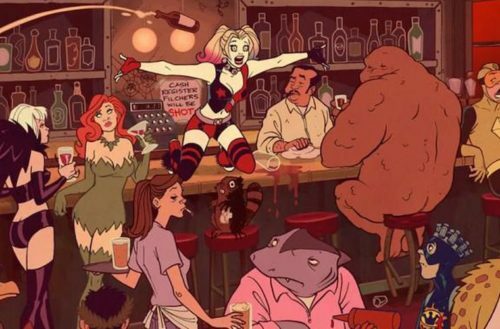 In the upcoming series Harley Quinn for DC’s new streaming platform, she’s left the Crown Prince of Crime and is striking out on her own to take over Gotham. And, of course, it wouldn’t be a Harley Quinn show without her will-they-won’t-they? partner, Poison Ivy. RELATED | DC Comics Confirms It: Wonder Woman Is Queer! Harley and Ivy have been a romantic couple in other Batman stories, too. For example, they’re together in the Love is Love anthology to raise money for Pulse. Harley hasn’t yet been cast for the new series, but Warner Bros. is expected to seek out Margot Robbie to voice the character. Robbie played Harley in the otherwise regrettable Suicide Squad. The showrunners are Justin Halpern, Patrick Schumacker and Dean Lorey. This isn’t the three men’s first foray into the DC universe; they also executive-produced NBC’s Powerless. Powerless was a short-lived sitcom focusing on scientists for Wayne Enterprises who develop consumer products to help deal with the fallout of superhero battles. 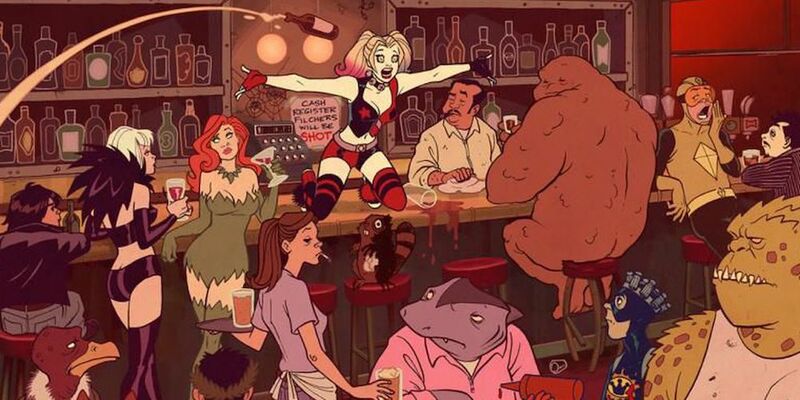 This new Harley Quinn show is the third new series to be greenlit for DC’s streaming platform. The other two are a continuation of the cult animated series Young Justice and Titans, and a live-action adaptation of Teen Titans by Greg Berlanti, Akiva Goldsman, Geoff Johns and Sarah Schechter. (You might recognize Berlanti’s name from producing a number of CW shows, including Arrow, Supergirl and Riverdale). While the concept art above isn’t final, we’d definitely like to see a show with that style. Of course, most of the DC Animated Universe shows have been gorgeous to look at, from the original Batman: The Animated Series to Justice League.